Adobe Reader for Linux is no longer available for download from Adobe website. But we can still install it in Ubuntu through the old Canonical Partners repository. Adobe has recently removed the Linux support from its official download page. Actually the latest “AdbeRdr9.5.5-1_i386linux_enu.deb” package is still available in the official repository, but it might be removed in near future. If you still want this PDF reader, below is how to install Adobe Reader (Acroread) 9 in Ubuntu 14.10 from the Canonical Partners repository for Precise (12.04). Type in your user password when it asks. Note that there’s no visual feed back when you typing a password. Once installed, you should be able to open it from Unity dash or Application menu. Finally save the file and restart nautilus (run command nautilus -q in terminal) to apply changes. I can’t use neither the comment nor the highlight functions. thanks for the workaround, very helpful for me. Thanks!!! The installation went perfectly. I didn’t need to perform step number 4 because Acrobat was already the default. Maybe that had something to do with this computer being upgraded from a previous rev of Ubuntu that had Acrobat installed. Other than standard Ubuntu repositories, partner doesn’t relegate its packages to old-releases after reaching EOL. Thus, instead of precise one can install Adobe Reader from partner repository for raring: the latest Ubuntu release it was shipped in. It worked flawlessly in my case. This worked for me, although it did not add the plug-ins to Firefox (Ubuntu 14.04). If I download the PDF file then I can read the Adobe Acrobat Reader forms (cannot save them in the completed text, but that is a separate issue). This installed the 386 architecture, not amd64. No matter, neither version can print from Ubuntu 14.10, making it worthless to me. Thanks for sharing, worked perfectly. there is a problem. some features not working,I can’t highlight, underline PDFs. let me know how to fix it? I installed and it shows up in my applications. However when I try to launch it, absolutely nothing happens. Not even a window pops up. Any idea what the problem is? Tried to do cut and paste. Cut did not work. Paste did not work. Typed it in. then it asked for password. I tried to set up account. Tried the ‘capta’ BS thing about 40 times and never could get something that was not “in error”. forget this. Waste of time if trying ‘capta’. Could not type or paste in my password. If nothing happens when you launch Adobe Reader, run “sudo apt-get install libxml2:i386”. Launch Adobe Reader again. I can’t use annotation in pdf, can we use annotation by any kind in this reader. Please suggest any method for this. It even asked me during installation if i wanted to set it up as a default reader. After i tried to remove the repository using the command given it diaplays something like this..
Help needen!! what does this mean..? ?will it work besides this? It has been second day since I’ve started Linux (PC and Mac user), and the step by step instruction was easy enough to follow through and installation process worked with no error at all. It allows me to open pdf files now, yay! It is totally useless no highlighting or other functions working. Also give steps to uninstall it. 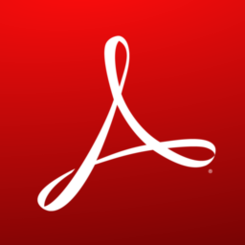 The package isn’t called acroread, but it’s called “adobereader-enu”.